12 Minutes from St Albert and 8 min from Morinville!! 3 Fantastic ACRES with a 28ft BY 30ft heated Detached garage!! 2 Outbuildings with Power (One is 22 x 14) ready to accommodate Animals!! 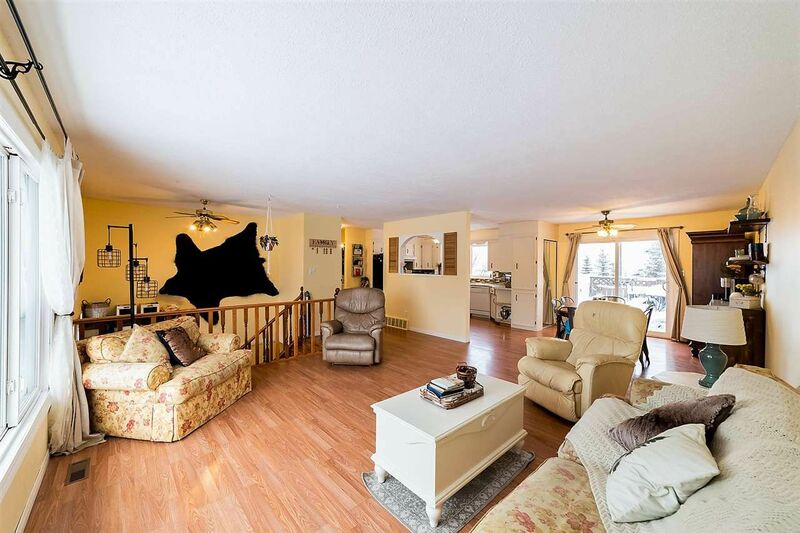 1200 sf ft Bi-Level with Additional fully finished Lower level, 4 bedrooms 2.5 bathrooms, 2400 square feet in all! Newer Shingles, Paint, Flooring, Most Windows and INSULATED to make 2x6 CONSTRUCTION!! Brand New Hot water Tank! Nice open Kitchen with Stainless Gas Stove, an Ample dining area and living room!! LOTS of Light from Patio doors and Large Windows! 4pc main bathroom was recently been renovated. Fenced for horses. There is a Generator wired into the House if ever needed. Mature Trees in Backyard make this VERY Private with Fruit/Berry Trees, Large garden, BBQ PIT, Barns, storage sheds and more! Camilla school(k-9) miutes away and Sturgeon High for the older ones. Acreage has a FIVE MILE VIEW!! Close to St Albert, Edmonton and Morinville !!!! From St Albert drive north to Onoway overpass, go west to Range Road 262 North and 5Km down on right.